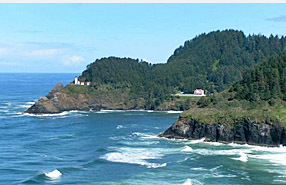 Located in the heart of Florence on the beautiful central Oregon Coast. At the Villa West Motel we provide a very clean facility with excellent, friendly service. The Recently Renovated Villa West Motel is very Clean, with New Carpet in all the rooms and is under new Management. It is the perfect choice for business or pleasure. 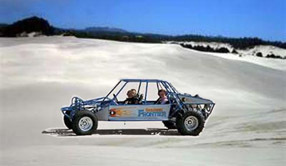 We are near many attractions and close to shopping, the beach, and the sand dunes. There are many other activities to to indulge in while you are here and close to many of them. Beachcombing, agate hunting, sand dunes, kite flying, shopping, gift stores, fine restaurants, nature & trail hiking, golf courses, shopping, nearby Sea Lion Caves, and deep sea fishing, seasonal whale watching, nearby Heceta lighthouse and more! Sea Lions, Seals, Blue Heron, Seagulls and other birds provide plenty of wildlife to enjoy for the entire family. See our Area Activities page for more pastime details. We invite you to browse though our website and contact us for any questions.